I love gardening, so was excited to hear about a fella called Peter Burkes who’s offering free gardening advice at his “virtual garden cente” www.potterandrest.co.uk. I know I have raved about Garden Compass, but you still have to pay for it, even though it’s great value for money, so this is another option. 1. Always check out special offers. Garden centres are always offering deals and money off on certain plants so make sure you do your research. 2. Save money on buying canes and collect sticks and twigs now for use later as pea or bean supports. 3. Don’t waste money on a gym membership when you have a built in workout right on your back door step. Gardening is often a very physical pursuit and a good bit of digging or weeding can act as an extensive workout. The activity uses all the major muscle groups and burns calories too. 4. 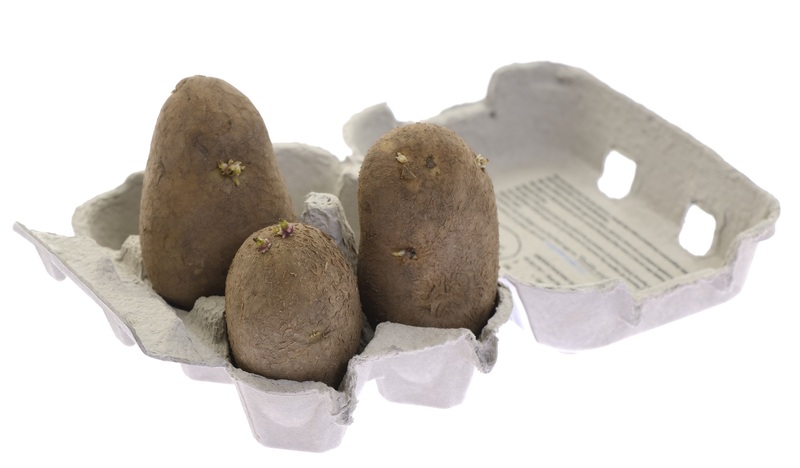 Use old egg boxes to chit your potatoes in. 5. 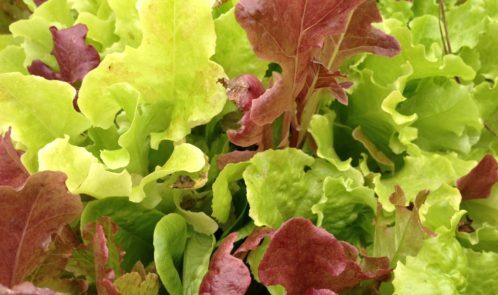 Save money on buying expensive bags of salad at the supermarket by growing your own. You can sow your own indoors in pots and snip off what you need when you need it. Sow seeds in a pot on a windowsill from October to February for fresh leaves all year round. For spring and summer crops sow outdoors in a veg bed or in pots or growbags. 6. You could jazz up old and unloved furniture with a lick of paint and some colourful cushions. 7. Use polystyrene packaging at the bottom of large garden tubs to save on the amount of compost used. 8. Use old tights and stockings as soft-ties for raspberries and other plants. They are gentle on the plant but very strong and will keep them in place.